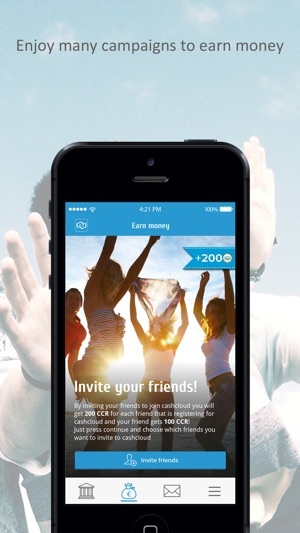 With the cashcloud app your smartphone turns into a wallet. The mobile Wallet application spans all of the key functions needed for shopping, payments, collecting bonus points and social messaging – both online and offline. 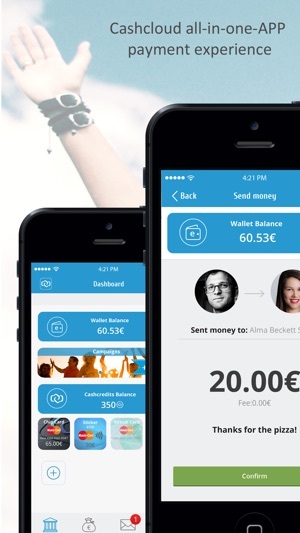 - Send and receive money is as easy as writing a WhatsApp Message. Even small amounts can be sent in a few seconds. - Free prepaid MasterCard® – in the first year (second year only 10 €). Pay with your prepaid MasterCard® online or in over 36 million stores worldwide. 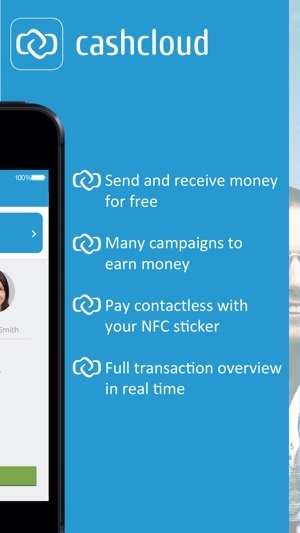 - NFC sticker for contactless payments. With your MasterCard® NFC sticker, you can pay contactless worldwide in several million stores. The NFC-Sticker includes a virtual MasterCard® in addition to pay online. - Earn money - in many campaigns you can collect cashcredits which you can swap into real money. - Coupons with great deals – you can find right in your app. Finally you have your coupons always with you and never leave them at home. - Your expenses always in view – with just a few clicks in the app you get a complete list of your expenses in the transaction overview. - Simple sign up – just use your Facebook login or e-mail address. 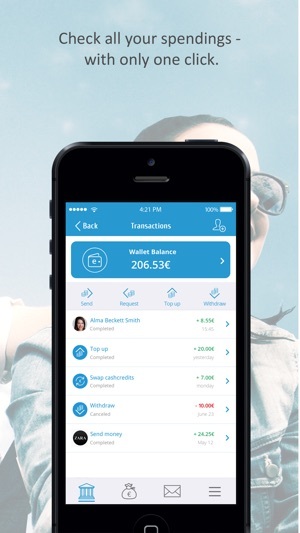 - The cashcloud eMoney account app is based on the prepaid principle so you can only spend as much as you have on your Wallet. You have full control, transparency and security over your spending. - In the transaction overviews you will have the detailed list of all your expenses with just a few clicks. - You can lock and unlock your Prepaid MasterCard® or your MasterCard® NFC stickers within the app with just a few clicks. - If you lose your phone or it gets stolen, you can lock your mobile Wallet immediately online from any PC. 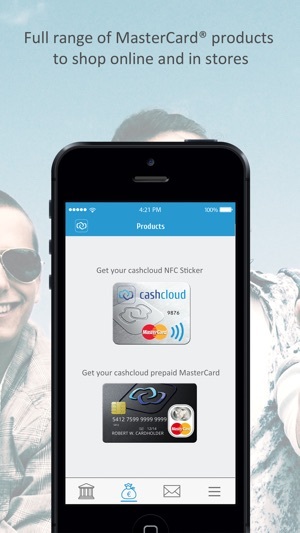 - Your cashcloud mobile Wallet is protected with your personal PIN. No stranger has the ability to access your Wallet. - Your eMoney account is subject to the E-Money Directive of the European Supervisory Authority. - Your data will be protected by the highest levels of security. 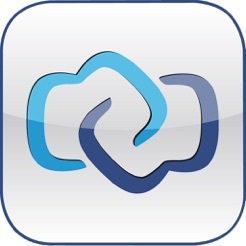 DOWNLOAD NOW your cashcloud mobile Wallet app and experience an entirely new payment experience! * The full mobile payments service is already available in Germany, France, Spain and the Netherlands. Other countries will follow soon! An extremely easy tool, which has a cool layout, and is secure! What's left to say!